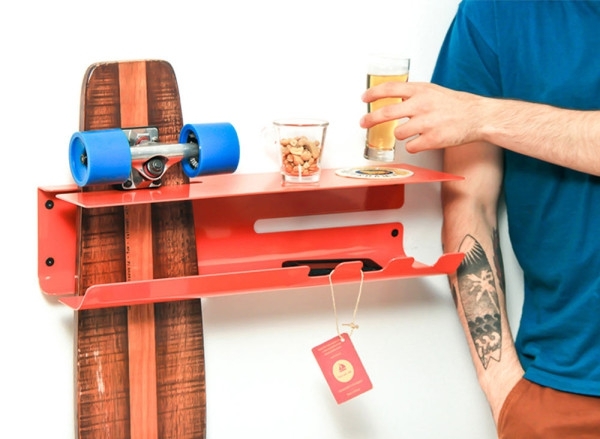 The Wall Ride is a nifty storage solution that is designed to answer the needs and dreams of the urban skateboarder. 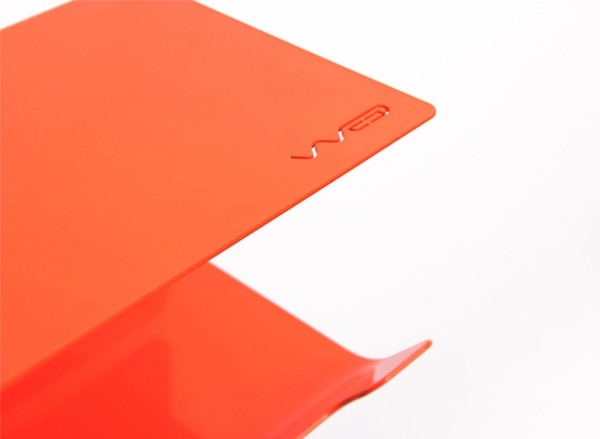 Italian design studio Zanocchi & Starke adapt fluid lines and seamless surfaces into this smart wall accessory that can effortlessly handle the functional and aesthetic demands of its target audience, and beyond. 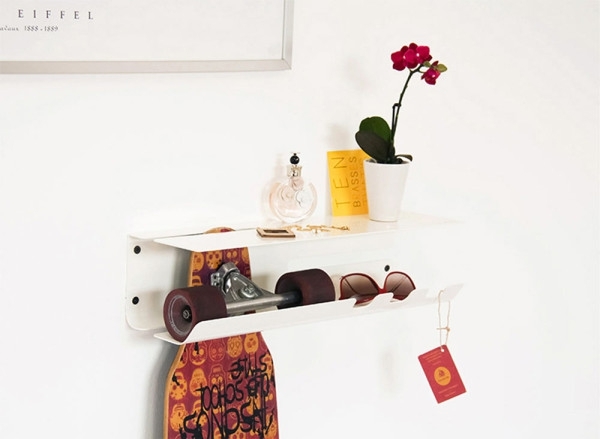 Delighting with its attention to detail and understated elegance, this is a versatile modern wall rack that is sure to find place in any space and setting. 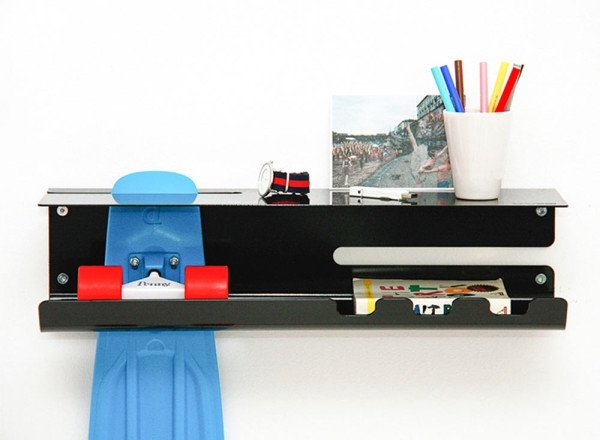 The Wall Ride transforms the graphics on a skateboard into fascinating wall art by suspending it vertically from it. 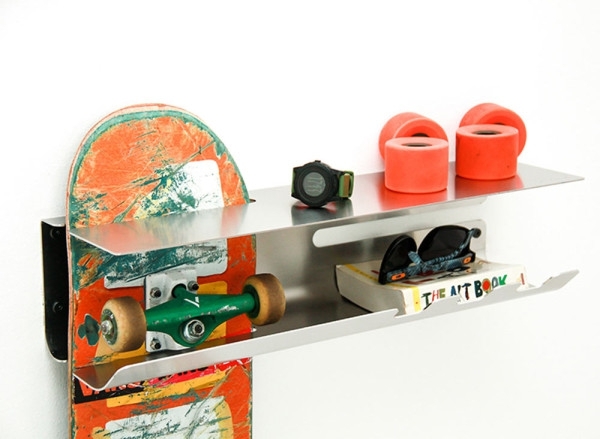 A slit in the shelves allows for the skateboard to be neatly hung, resting on the wheels; these face away from the wall and therefore pose no risk of scuffing or damage. 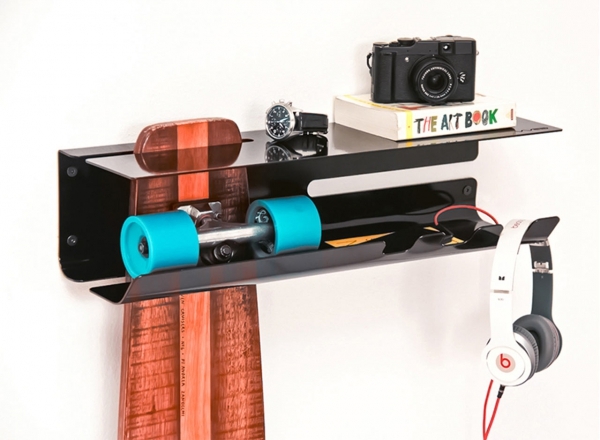 The solution is articulated into two parallel shelves and three hanging hooks, all of which coalesce into the fluid form of this modern wall rack. 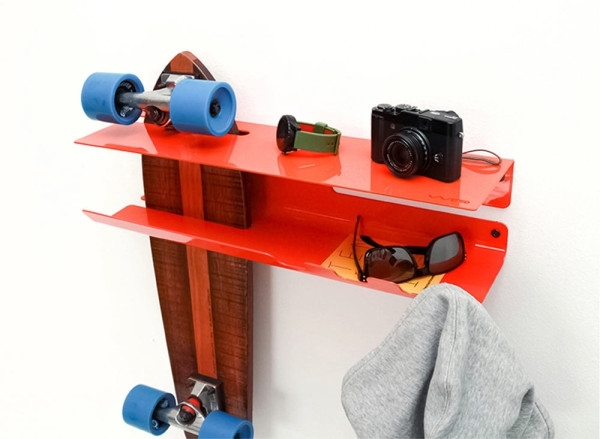 The Wall Ride however wins us over with its ability to accommodate all the items that come with a skateboard-from bulky headphones, keys and phone to your favorite pint of beer. 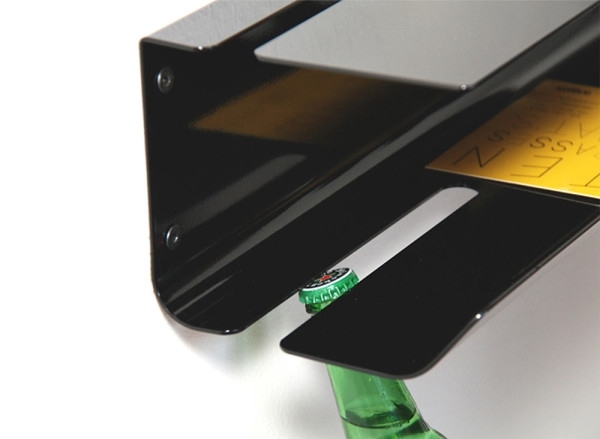 Infact the wall rack doubles as a beer bottle opener- how handy and fun! 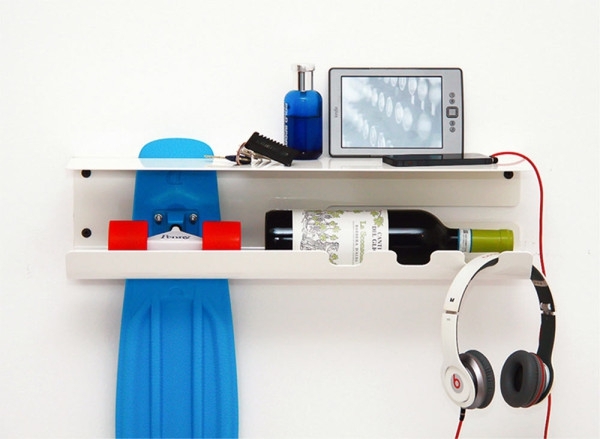 This modern wall rack is available for purchase on the designer’s website.